I was able to sniff back tears during most of the moving presentation of the 200 years history of the Sisters of Charity, entitled How the Nuns of New York Tamed the Gangs of New York, at the Sheen Centre on June 3, but I couldn’t stop myself from sobbing when a group of children dressed in 19th century costumes sang “Where is Love” from the movie Oliver. They represented some of the thousands of orphans saved by the sisters from the city’s mean and dangerous streets. Their parents, who had, against all the odds, saved them from Ireland’s Great Hunger, had perished and they too would have died if not for the women whose service was being celebrated in song, dance, and story. How much we Irish Americans owe to the nuns, I thought, and felt grateful to Turlogh McConnell who worked with the sisters to commemorate their bicentennial (1817 – 2017) in this theatrical presentation, which was directed by George Heslin, founder of the Origin Theatre Company, and narrated by Orlagh Cassidy and Ciaran Byrne. 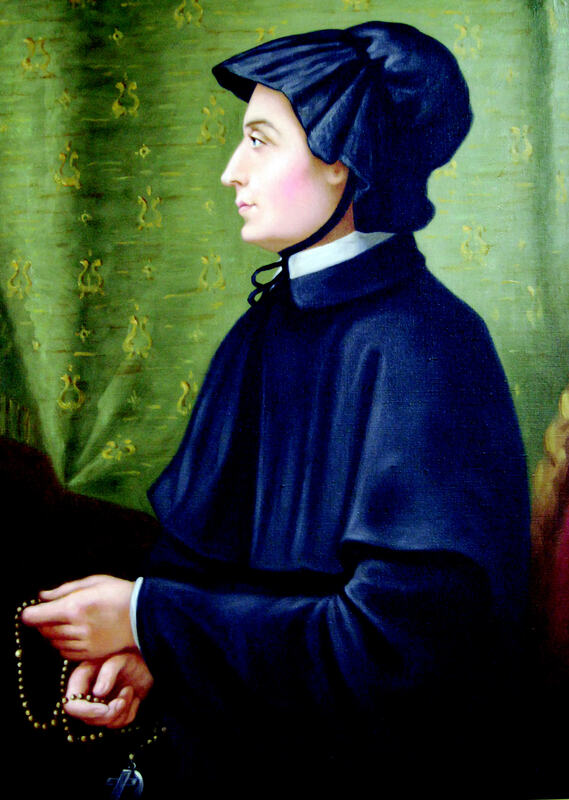 Saint Elizabeth Ann Seton, founder of the Sisters of Charity. The piece dramatizes the early days of the sisters. Their founder, Elizabeth Seton, a widow with five children who converted from her prominent family’s Episcopalian faith to Catholicism after her husband died, started the first American congregation of religious women and sent three sisters to open an orphanage in New York in 1817. How the Nuns of New York Tamed the Gangs of New York, “explores through words, music, and dance the impact of the work of the sisters that grew out of the original 19th century work of healing, teaching, and housing Ireland’s Great Hunger refugees,” McConnell said. Two Academy Award winners, director Martin Scorsese and writer John Patrick Shanley, attributed their pursuit of the arts to the inspiration of their Sister of Charity teachers. 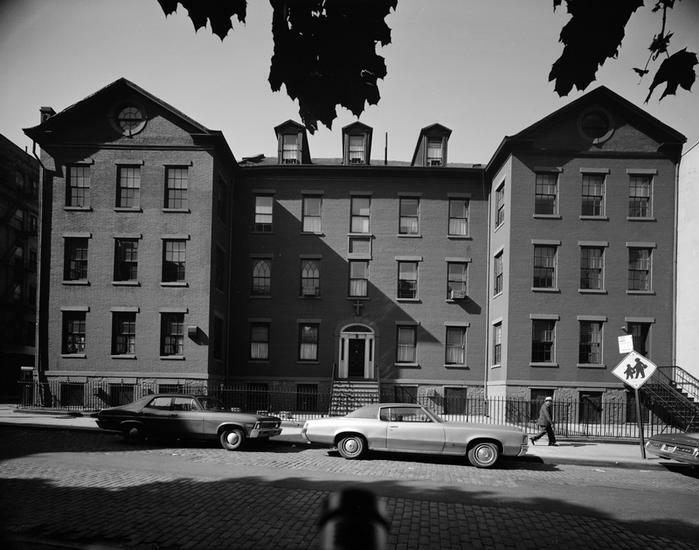 Scorsese attended St. Patrick’s Old Cathedral School on New York’s Lower East Side, which was built as an orphanage and convent by the Sisters of Charity in 1826 remained in their care until 2010 when it closed due to low enrolment. John Patrick Shanley was educated by the sisters in the Bronx, and based his 2005 Pulitzer Prize-winning play Doubt on his experiences with them and the Christian Brothers. The play is dedicated to Sister Peggy McEntee, Shanley’s Sister of Charity first grade teacher. The Sheen Center plans to stage the performance again in February 2018. Details to come. founded by Ste. Louise and St. Vincent de Paul in Paris in the 1600’s. the church of St. Nicolas de Chardonnay. At some point, Mother Seton’s sisters in Baltimore formally affiliated with the Daughters of Charity in France. One of the results was a change of habit to that of the French Daughters. Other foundations of Mother Seton, including the Sisters in New York chose not to formally affiliate with the Daughters. However, all congregations of the Seton Sisters of Charity see themselves as part of the wider family of St. Vincent de Paul.